Ine’s Cakes is now offering Melon Buns. 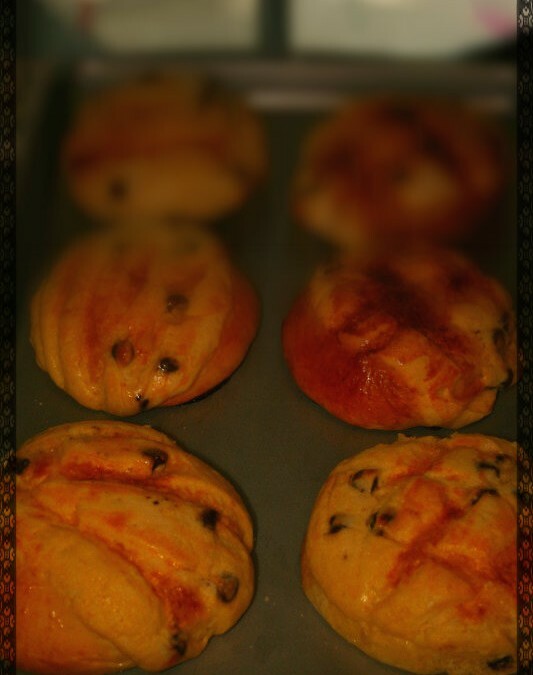 They are made from an enriched dough covered in a thin layer of crisp cookie dough with chocolate chips between the cookie layer. You can choose plain or red bean filling. There is a minimum order of a dozen for $12.